Originally a general market for corn, coal, iron, wine, salt, pottery, fish and other goods, Billingsgate is now the only London-based market dedicated to fish. From the sixteenth to the mid-nineteenth century, fish and seafood were sold from stalls and sheds around the 'hythe' or dock at Billingsgate. The Old Billingsgate Market on Lower Thames Street, a listed building designed by Horace Jones, still stands and has been there since 1876. But this modern market overlooking Canary Wharf is where the action happens today. It's open Tuesday to Saturday from 5am to 8.30am with one trader based here on Sundays, John Stockwell Ltd specialising in shellfish (from 6am to 8am). The market is mainly aimed at wholesalers although it is open to the general public and the sight of the working market is worth seeing. In addition to a wide selection of fish and fish products, there are a few traders dealing in poultry, cooking oils, potatoes, trade sundries and specialist restaurant and catering supplies. If you are here to buy there is a half a stone limit when it comes to buying fish (this may vary with individual traders offering mixed boxes). You're best bet is to get there early if you want the catch of the day. Children under 12 not allowed. 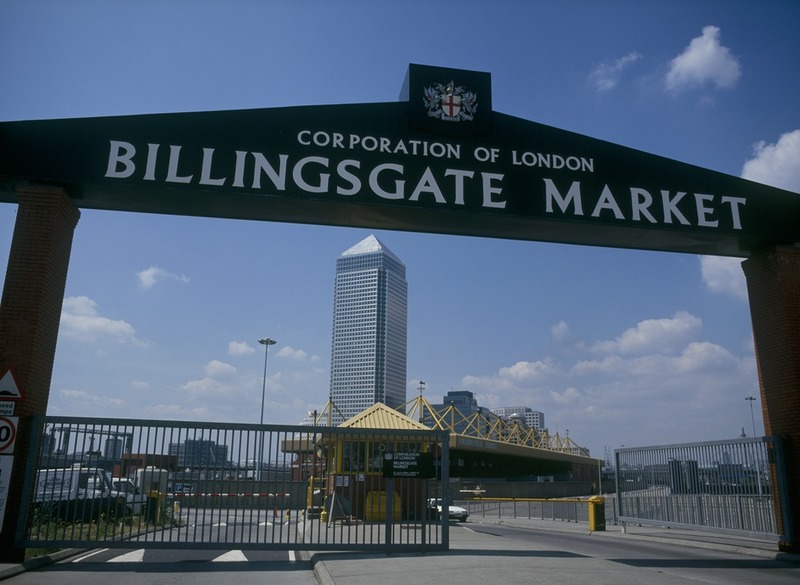 What are the best dining options near Billingsgate Market London? Billingsgate Market gyms, sporting activities, health & beauty and fitness. The best pubs near London Billingsgate Market. Billingsgate Market clubs, bars, cabaret nights, casinos and interesting nightlife. Where to have your meeting, conference, exhibition, private dining or training course near Billingsgate Market. From cheap budget places to stay to luxury 5 star hotels see our deals for Billingsgate Market hotels, including Radisson Blu Edwardian New Providence Wharf from 91% off.